This software was designed for library purpose only. This system would be able to speed-up the process of borrowing of books, searching of books, monitoring of due and borrowed books in the library per school year. 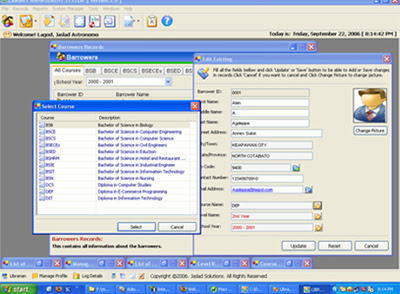 The system also does all the reporting you needs for your hard copy of data.